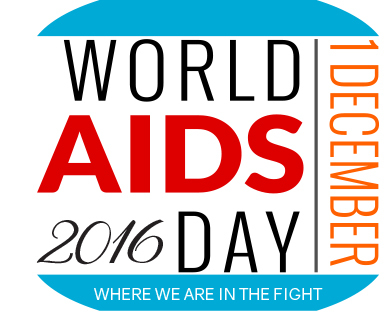 World AIDS Day was observed on December 1st and is a day to honor and remember those who have passed. It's also a day when we should remember how bad HIV/AIDS was and the great strides that have been made in treatment to bring us to where we are today and, more importantly, where we're headed. The Federal government laid out their National HIV/AIDS Strategy in 2010. It was supposed to be a 5-year plan, to end last year in 2015. The vision statement and goals were set very high for the plan. So high in fact that, many goals were not met. That's not to say that the strategy was a failure - all the stated goals and ultimate vision were admirable - some goals were just too lofty and ambitious to achieve within 5 short years. Because the 2010 strategy was not flawed the idea was basically to continue working toward the vision and goals adding a few in here and there to run from this year through 2020. So what has happened over the last 5-years with the National HIV/AIDS Strategy of 2010 and what has not been done yet and is supposed to happen over the next 5-years? The best place to look is within The updated strategy. The Executive Summary of the updated report states that the strategy’s indicators say that fewer people are being diagnosed with HIV, as new HIV diagnoses decreased 7 percent from 2010 through 2013. In the context of increases in HIV testing during this time period, the data suggest the number of new infections is declining. The vast majority (87 percent) of persons living with HIV are aware of their status. More Americans living with HIV are getting the treatment and care they need to live healthy lives: 3 in 4 persons diagnosed with HIV are linked to care within 1 month, the majority (57 percent) are staying in care, and more than half (55 percent) are virally suppressed. Also being reduced are the unequal impact of HIV among some of the hardest-hit populations: more young people and people who inject drugs are virally suppressed (now at 44 percent and 47 percent, respectively) and the disparity in diagnoses among Black women and girls has been reduced by more than 15 percent. - Coordinating the HIV response at the state and local levels with integrated prevention and care planning. - Improving access and retention in HIV care to improve viral suppression. - Building capacity to scale up the use of PrEP to prevent new infections. - Developing and enforcing policies and practices to minimize stigma and discrimination in health care, employment, faith-based, and other settings. 1.Transformed health care access for all Americans, including those with HIV, through the Affordable Care Act (ACA) and further supported health care access for persons living with HIV through the Ryan White HIV/AIDS Program (RWHAP). 2. Invested in groundbreaking scientific research on the benefits of early antiretroviral treatment (ART), treatment as prevention, PrEP, microbicides, screening technologies, vaccines, and cures. 3. Ensured every Federal dollar has the greatest impact by aligning funding for major programs with the epidemic. 4. Eliminated harmful policies rooted in fear and discrimination, such as the HIV entry ban so that people living with HIV can enter the United States without a waiver, and modified the ban on use of Federal funds for syringe services programs to help reduce HIV among people who inject drugs. - Continuing widespread HIV testing which is critical for diagnosis and prevention. - Strengthening each stage of the HIV care continuum to help all people with HIV remain engaged in care and achieve viral suppression so they are able to live long, healthy lives. - Expanding access to comprehensive PrEP services for those who are HIV-negative. For those at highest risk of becoming infected, PrEP is a safe and highly effective HIV prevention tool. - Ending the HIV stigma and discrimination that have no place in America today. Stigma and discrimination can lead to many negative consequences for people living with HIV and stop far too many people from accessing the HIV prevention, treatment, and care they need. - Extending the reach of HIV prevention and treatment to the people and places in greatest need, including among gay and bisexual men and persons living in the South, where indicators show lack of progress in reducing diagnosis disparities. While we've come so far in the fight against HIV/AIDS we still have a ways to go. With the help of governmental agencies, pharmaceutical companies, charitable and volunteer organizations and community activists like you we can one day hopefully see an AIDS-free generation in this country and maybe worldwide.